If you drive a Lexus, you’re used to the best. So when your vehicle is in need of auto repair in the Springfield area, turn to the auto mechanics at Complete Automotive. They have the cutting-edge know-how and equipment it takes to get your Lexus purring like the high-performance engineering marvel it is. How do they do this? The owner of Complete Automotive, Carl Hutchinson, and his team of auto mechanics attend regular training sessions to learn about the latest in automotive diagnostic and repair techniques. 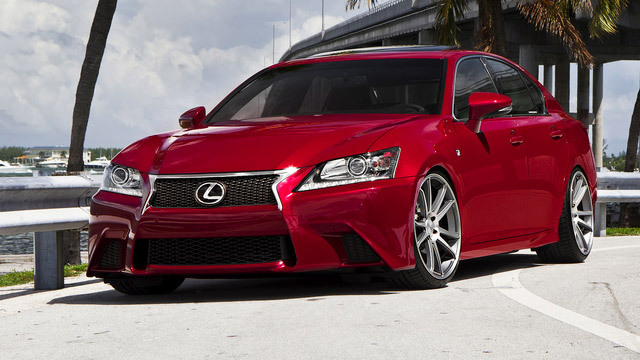 That means your Lexus will get the utmost in auto repair attention. In fact, we’ve earned a reputation in the Springfield area as the place to go for mechanical and electrical issues that may have perplexed other auto mechanics. And since as a Lexus owner you’re used to luxury, you’ll appreciate Complete Automotive’s comfortable, relaxing waiting area. In addition to complimentary refreshments, you’ll pass the short time it takes to repair your Lexus by taking in the rotating art exhibit that features local Springfield-area artists. If the work will take a little longer and you need to get on with your busy day, no problem: our free shuttle service will get you where you need to be. So if your Lexus needs auto repair, schedule an appointment online, or just stop by Complete Automotive at 2238 E. Chestnut Expy. in Springfield, MO 65802. Our top-flight auto mechanics will have you back on the road in no time.